Looking for the perfect gift or perhaps a well-earned indulgence for yourself? 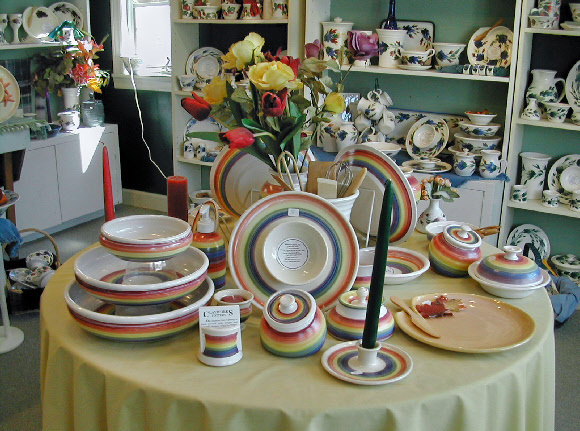 Our colorful pottery looks great on any table. These innovative designs capture the energy and spirit of the Maritimes. Clayworks invites you to view a selection of our most popular products, featuring platters, plates and bowls. Want to see more? 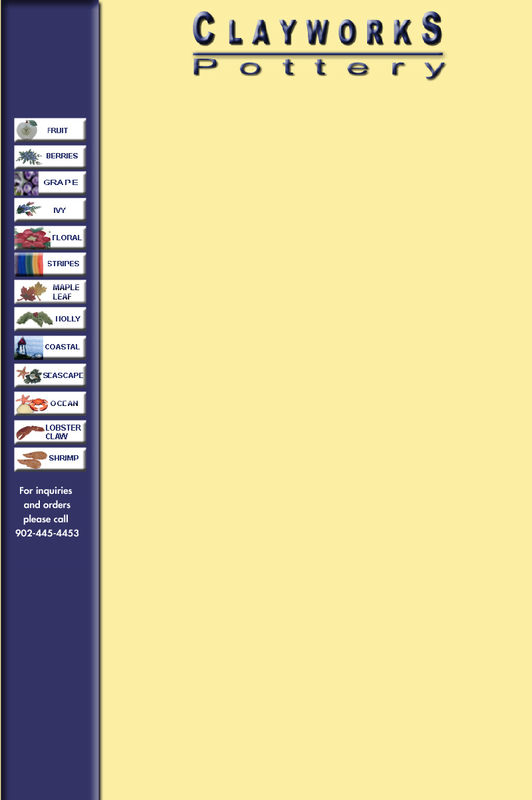 Just click on the "Catalogue" link and download a complete listing of our products. 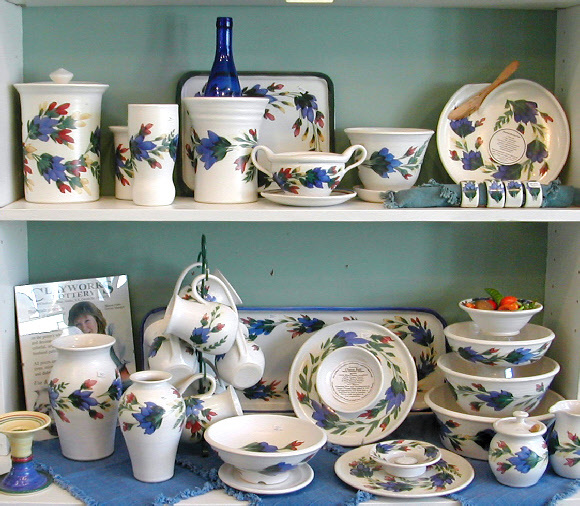 Or better yet, drop by our studio, we’ve been in business for more than 20 years!